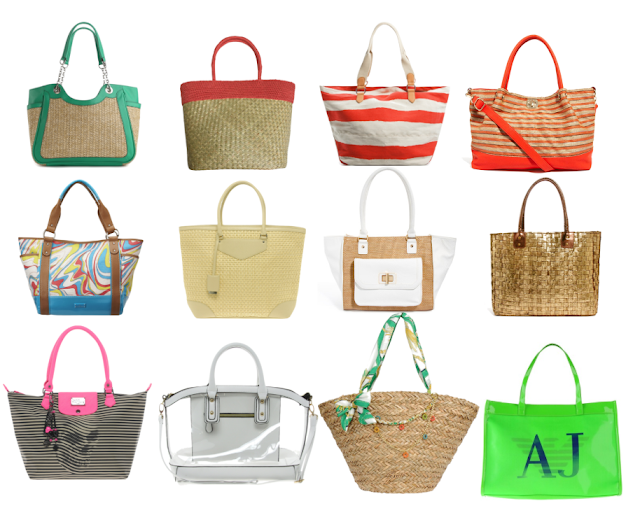 The Fashion Guide Blog : 12 great affordable bags to go to the beach. Sunbathing season is almost here. Days are longer and warmer so you have a great chance to enjoy the first rays of sunshine to help you get that healthy, golden look. Going to the beach could give you a headache because you might not have the right bag to fit everything you need. Here you have a good selection of 12 bags priced from €15 to €90, so you can choose one and get to the beach with everything you need. The only headache you’re at risk of then is from the Mojitos! 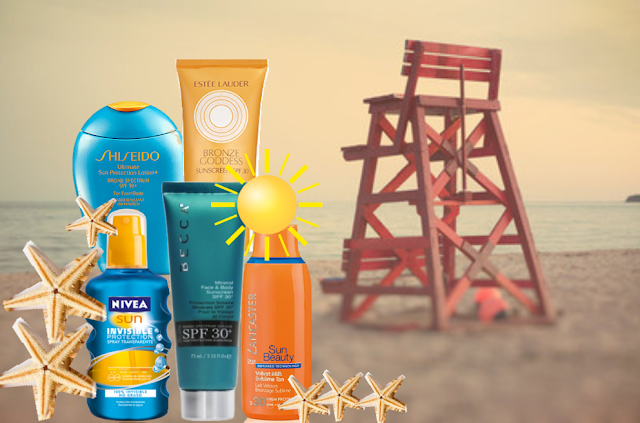 Don't forget to put your sun block on! I’ve also added my top 5 selection. Happy tanning! From left to right, up and down: Straw tote €34, dsw.com. O'neill nahua bag €2, swell.com . Canvas striped maxi bag, €41, Mango. River Island metallic weaved smart beach bag €43, Asos. Nine West Tropicana medium tote €46, ninewest.com. French Connection beach basket tote €44, Asos. Aldo Hydelade shoulder tote €53, Asos. Hawaii beach bag €15, Asos. Paul's Boutique skull shopper €53, exclusive at Asos. Wendy Perspex bag €23, Asos. Gianmarco Venturi large fabric bag €45, Yoox. Armani Jeans large PVC bag €91, Yoox.